Home » Website Building » SEO » How SEO Can Affect Your Online Business Growth? Running an online business is not an easy task. Whether you have physical products, services or virtual digital products to sell, you need to focus on improving the site as well as managing clients. Gone was the concept that business owners have a website and people who need will search for it. Nowadays, you need to bring your offerings to the fingers of the people in order to get lead and convert them to your client. Simply having a website is no more going to help you in improving your business. In this article let us explore how optimizing your website for search engines can actually affect your business and help you to get more customers. SEO stands for search engine optimization. You can spend money to advertise your website so that people will know about your services and buy it. Unfortunately every one of us doesn’t have more money to spend on advertising. Here comes a free way of driving people to your website from search engines like Google, Bing and Yahoo! Search engines collect the data from web and rank them based on the keywords. When someone searches for the keyword, search engines will fetch the records and display as a result. For example, below is a result of “coffee shop” in Google search. It is obvious that many users will click one of the top search results and tend to order their coffee from that shop. The first few positions on the search results tend to get more clicks leading to more people viewing the site’s content. This is a potential opportunity to convert those viewers to customers by offering good quality services on your site. Once you have satisfied customers, they tend to come back and buy more thus increasing your revenue. For a business, it makes big difference to rank top in Google that will help to make handsome money. In simple words, optimizing your site for search engine means optimizing your business to get more revenue. It is really difficult to compete online especially in digital selling area. You may need to compete will big giants like Amazon to reach out customers. However, having optimized website will help users and search engines to navigate easily on your site. This will not only help to rank high on the search engine result pages but also help users to get what they are looking on your site. Ultimately, happy users will tend to buy more and spread the words quickly. As you can see in the Google business listing, listing your business on Google My Business will show it on the map with ratings and address details. Besides having good title, meta description and content on each pages, you should also focus on local listings. This will help to list your business site in the search results on top. Secondly, having easy to navigate and attractive content will drastically increase the customer confident and you can be sure that most of the people clicking on your site link will tend to order the product. Organizing products into categories and showcasing them elegantly will make you stand out from others. Search engines love optimized product images and good customer ratings to rank your products on top of others. 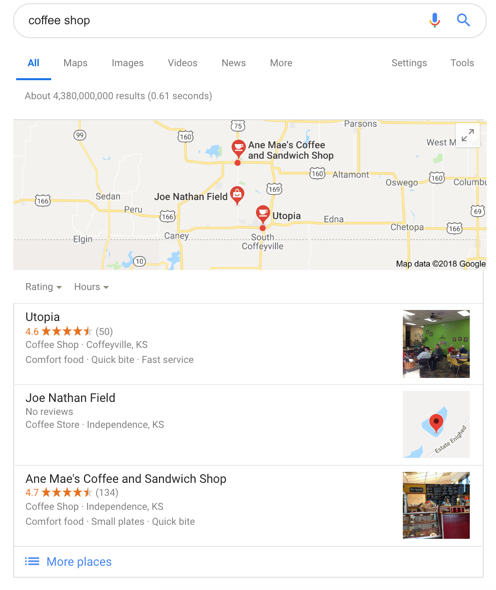 In addition to local business listings, Google and other search engines will also show individual products in search results in different manner compared to other results. This is called rich snippets and your website should have an appropriate schema to showcase the results in snippet format on search results. For example, when you search for buying Apple iPod, you will see results like below from Amazon. It shows product ratings and reviews on the search results. When you have good ratings and reviews on your products, it will tempt people to click on the result link and come to your website. The next step is to have your products properly organized in your store. So that users can easily check and prepare for buying. It is also good idea to offer coupons and discounts on product pages to attract users landing on your website. Remember website optimization needs focus and dedicated time. Even after you spent lots of time on optimizing your site, the problem is evident with million of business owners try to compete to get the top ranking on search engines. This makes impossible for many of the business owners and quit the online. There is an ultimate weapon to win the online race – blogging. Having a blog on your business site helps to achieve two important things. Send information to your readers instantly. When you want to offer a black Friday coupon, simply post a blog and send to all your subscribers as email and newsletter. In this digital world, people see the emails immediately and open the site on mobiles to get the offers. Attract more visitors – let’s say you have 25 products on your site along with few pages for about, contact and testimonials. It is impossible to get more visitors by just having 30 pages website. You can create a blog and start writing or sharing topics related to your products. This will start attracting more visitors to your site. Link your popular products in blog posts and try to get their attention to your product pages. Though it looks difficult, you will see difference when you have a blog on your business site. As shown in the above search results, customer ratings and reviews are shown in the search result. So when you sell your products, request customers to leave their reviews on your site. Good ratings and reviews will improve the ranking of your products and hence improve the potential sales. The long term success of any online website relies on how successfully it can have a community of users. Creating blog and getting customer feedback, reviews or ratings are actually part of building your online community. Try to gather people interested in your product and request them to enroll on your site. Sometimes you may need to offer incentives like coupons for people to become member of your site. It makes sense to build community so that you can enjoy more earnings from the community people instead of looking for new customers everyday. In addition to organic search engine like Google, there are many social search engines available like Facebook and Twitter. They are good options to start attracting the people you already know. You can create a Facebook page or Instagram account and request your friends and relatives to follow you. Slowly you will start getting more followers when you share interesting content like discounts and competitive product offerings. 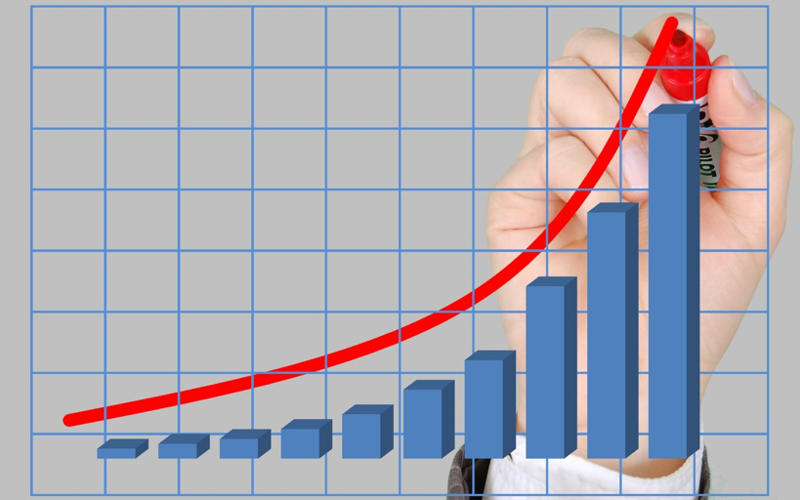 The logic remains same – more followers to your social accounts will lead to more visitors to your site. This will in turn increase the potential customer base. SEO is a crowded field and needs dedicated time and effort for optimizing your website. You also need to understand the basics of search engines like generating Sitemap and submitting your site. You can do the SEO on your own or hire an agency to the work for you. Decade back, having a website for a business was a big thing. Days are not far that only online businesses will exist and SEO is an important factor for small businesses to survive in such digital world.